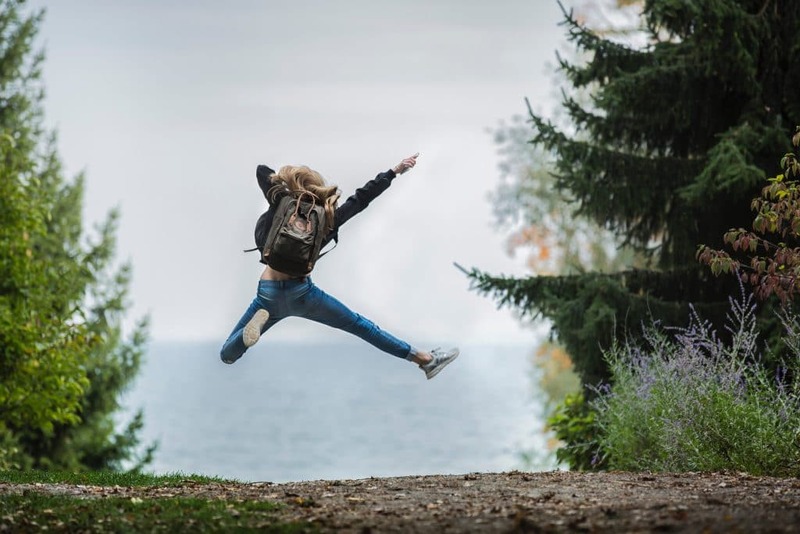 Tent, sleeping bag, food and flashlight are some of the first things we think of when packing for an overnight camping trip in the wilderness, but new ideas for cool camping gadgets are popping up regularly. Connecting with nature doesn’t mean you have to leave your phone at home. Having a mobile device is excellent for maps, emergencies, and last minute campsite bookings. But, what to do when your phone dies by mid-day, or your flashlight runs out of battery while camping in the middle of nowhere? 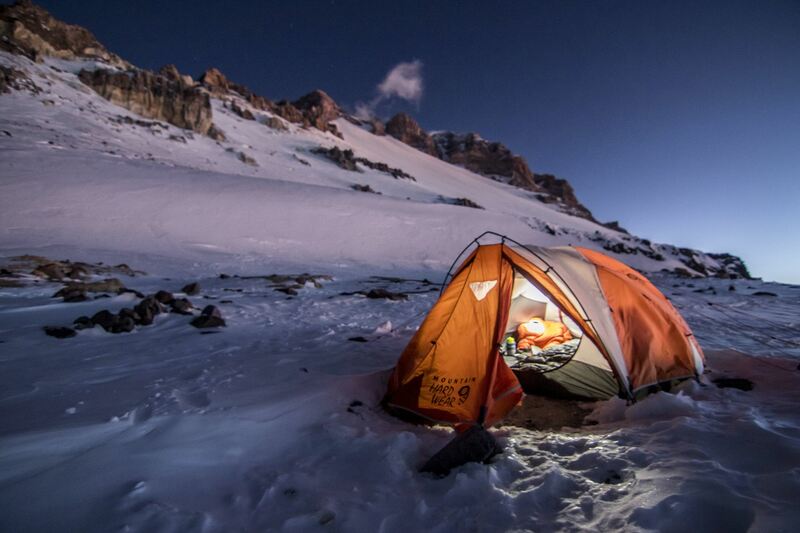 Here’s our favourite solution on how to get electricity while camping: the LuminAID PackLite max 2 in 1 phone charger. This neat gadget is lightweight and easy to use. It recharges in 14 hours of direct sun to provide 50 hours of runtime per charge, or charge it by USB input for 1-2 hours. That’s quicker than fully charging an iPad from a home socket! 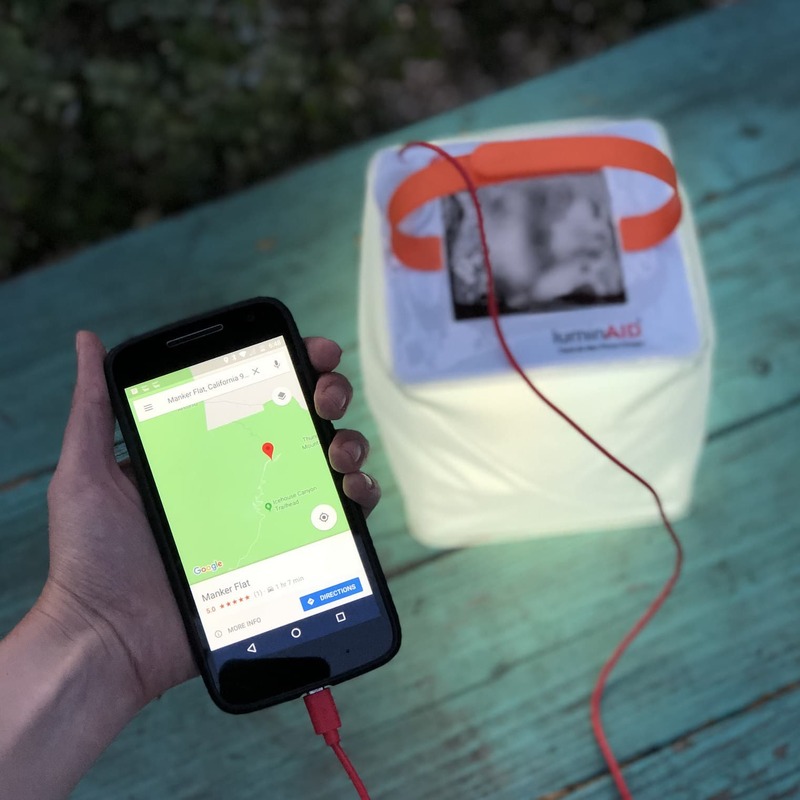 Not only can the LuminAID PackLite charge devices, but we used it as a lamp to brighten 200 sq ft of our campsite area. The bright LED light was perfect for our 6 person tent. Pretty convenient! During our Yukon, BC excursion, we decided to pack the 75 lumens LuminAID PackLite because it requires less recharging time (10 hours), which worked great for those shorter daylight hours. 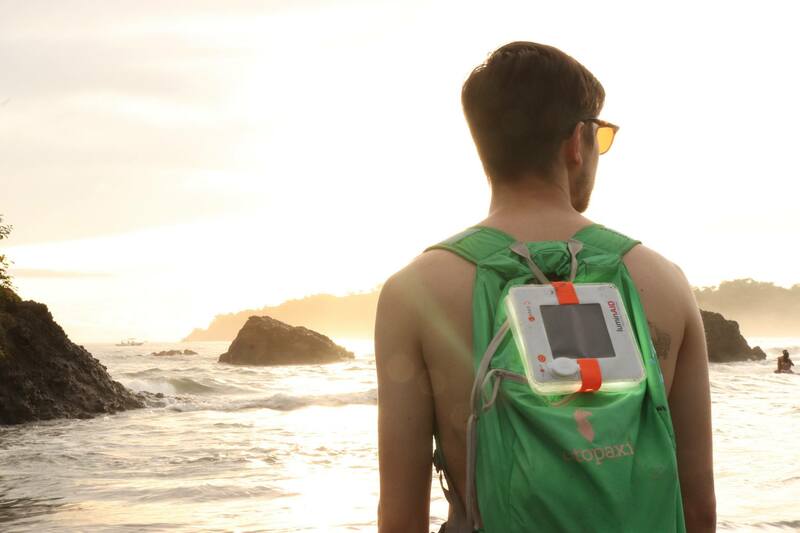 The LuminAID Packlite made our favourites list because it’s environmentally smart, easy to pack, lightweight, and super useful. During our camping trips to the Canadian prairies, we took a larger stove with camping propane tank, and it was not fun lugging them around! Storing it in our small condo afterwards was equally a burden. 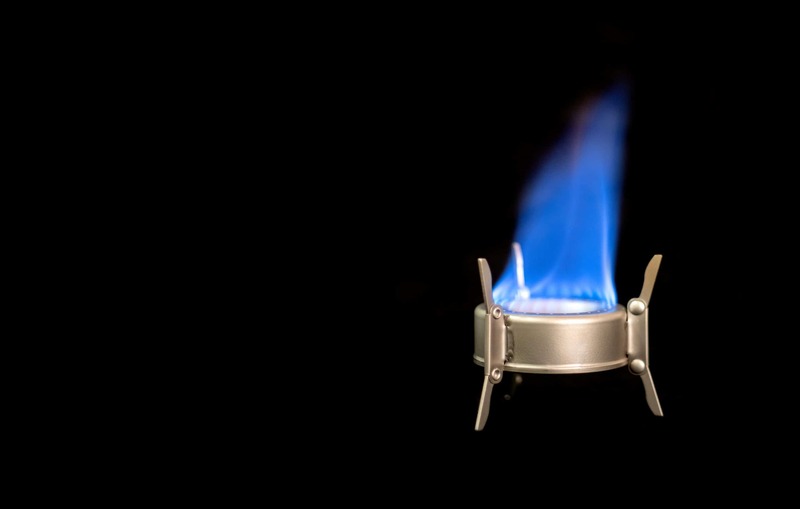 This extremely compact and easy to use stove fits in the palm of your hand. 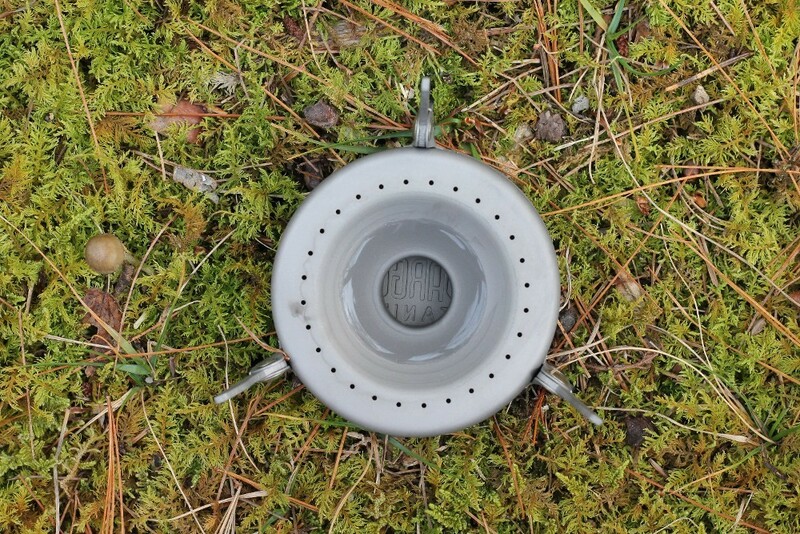 And this neat gadget can be ignited by using alcohol and a lighter, perfect for any campsite. Fuel tabs or fuel gels can also be used by flipping the stove over. We love having options! We used alcohol by pouring it into the centre hole. Once lit, flames shoot from the jet holes, which are able to boil 0.5 litres of water in 5-6 minutes. It fits pots down to 3.5 inches and has 20+ minutes of burn time. 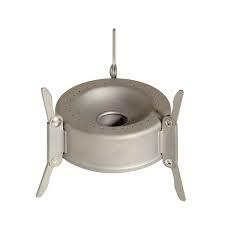 With a diameter of 2.9 inches, the Vargo triad MF stove is easy to stuff into any pack. It’s titanium metal provides strength, durability and only 30 grams of weight. The Vargo triad MF stove made our list of favourite must-haves because we appreciate a small gadget that meets our cooking needs. While camping through Banff and Jasper, Alberta this year, we came across many clear water creeks that looked tempting to dip our heads into and drink from. After all, Canada has some of the cleanest drinking water in the world. 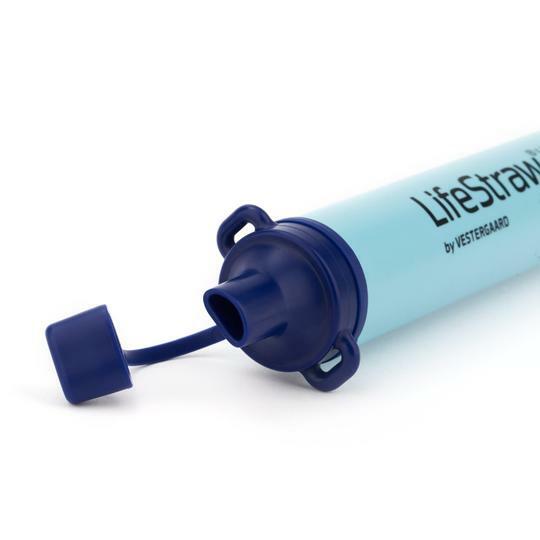 Normally, our camping trips entail lugging several water bottles, but the weight and worry that we’ll run out of water has led us to our next favourite camping gadget must-have: the Lifestraw personal water filter by Vestergaard. The Lifestraw is changing lives all over the world by filtering dirty water and transforming it into clean drinking water. So, we decided to give it a try, and we are impressed! This easy to carry tube shaped straw filters 4,000 litres with no pumping and no chemicals. According to its packaging, it removes 99.9999% of bacteria (E.coli, etc.). Pretty near perfect! How it works is that the hollow fibre membrane traps pathogens inside so only clean water can escape. 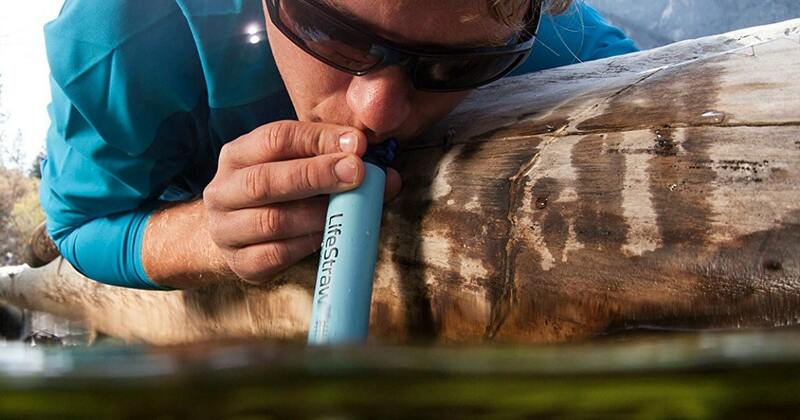 After following some simple instructions, lean into any body of water and drink straight from it using the Lifestraw. Any product that changes the world for the better and allows us to access a necessity for survival is a winner with us. 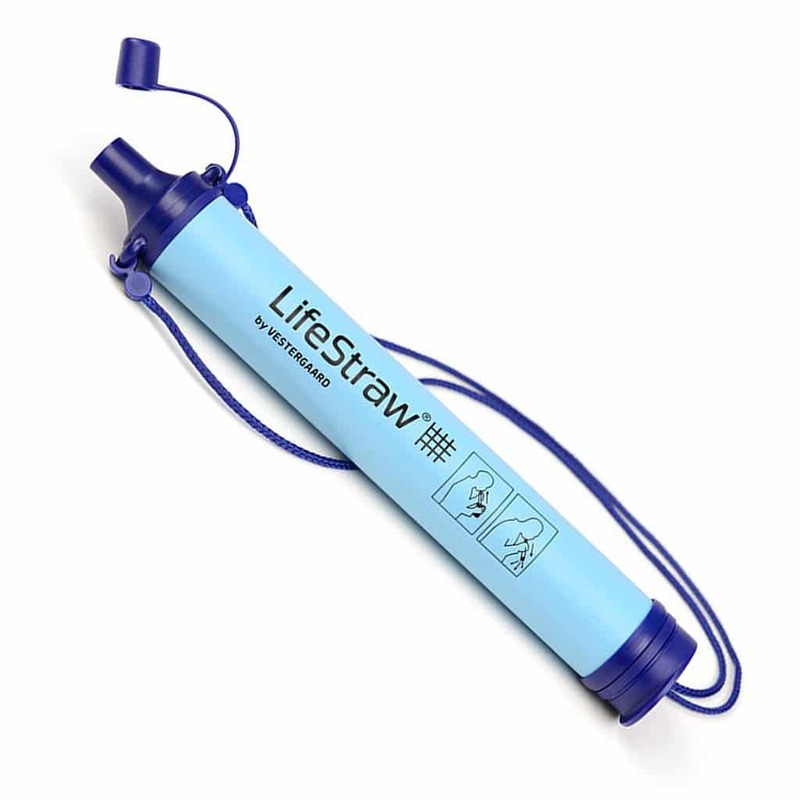 Even better that the Lifestraw is BPA free. Now, drinking that outdoor water is a safe reality anywhere we go.